If your looking for the Ultimate recreational property in Southwest Missouri then look no further. This 298 acre property is located in McDonald County at 4458 Cowan Ridge RD. An extensive trail system will get you anywhere you need to go. Treestands that are on the property and will convey to the Buyer include 1 Redneck Blind and 14 buddy ladder stands. Water sources are 1 spring and 2 ponds to provide water year round to the critters. 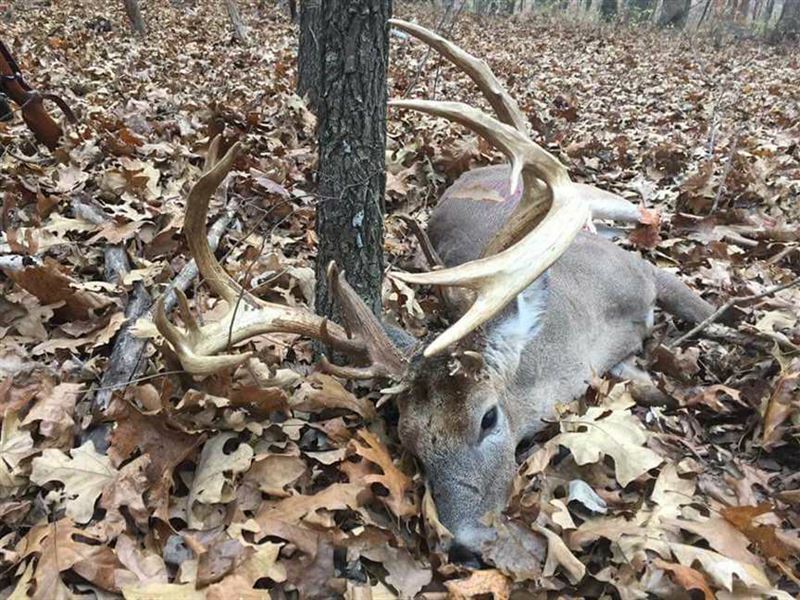 This property has a very good mix of openings and woods making it not to much to manage but plenty of areas to grow and hold mature whitetails. The genetics in this area a truly amazing as seen by the pictures. Treestands are in place in all the best locations to catch game as they walk by. The lush green open areas have been planted in years passed to foodplots and the soil grows the groceries amazingly well. In the spring you can expect to pick all the morel mushrooms you can stand and hear a turkey gobble in the distance. The cabin is 16'X32' in size and is all metal with spray foam insulation. It consists of 3 rooms Bunk room, kitchen and dining, bathroom. The bathroom is equipped with a shower and toilet. Just outside the front door is a deck, fire pit, and a game pole. This property will not last long. Call at to schedule your showing.